These ladies celebrated Independence Day with a fun lunch out together. 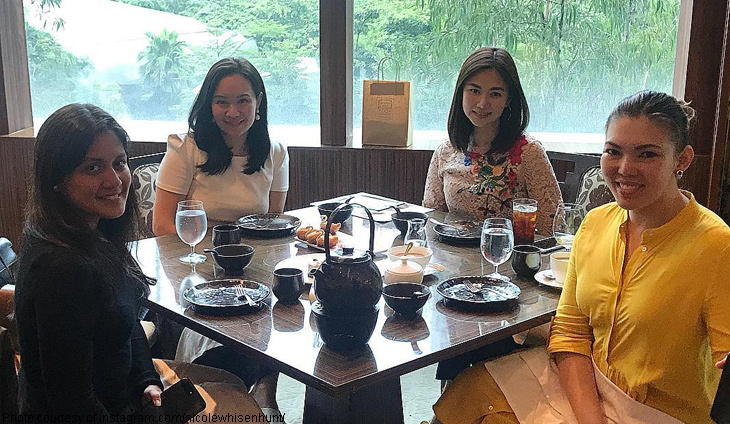 Vista Mall managing director Camille Villar took advantage of the holiday to catch up with good friends Kai Nakanishi Lim, wife of Suyen Corp. SVP Bryan Lim, and jewelry designers Nicole Whisenhunt and Erika Concepcion Reyes. Independence Day lunch with the ladies. ?? missing our @pamelarosario ? More bonding sessions please, ladies! Duterte explains why he still calls Manny Villar ?sir? There's no stopping the Villar Group from expanding!